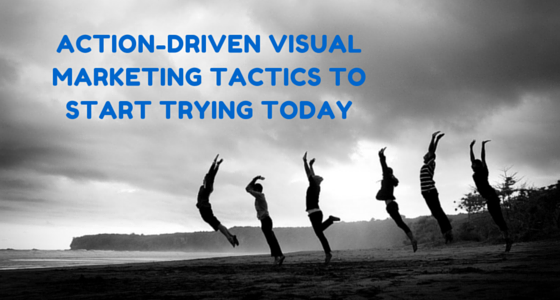 Visual marketing is a necessary element to an overall productive marketing strategy today. In a world where we are competing with non-stop, live updated content, you have little choice but to try and catch the skimmer’s eye and get across a point as quickly as possible. If you are trying to improve your visual marketing strategy, here are eight action-driven tactics that can vastly boost your results. Best of all, they can each be implemented today! If something works as a blog post, it will probably work in a visual format. It just has to be tailored to fit a new style. You can take your most popular posts and create a whole series of visuals from the content, to go on multiple platforms. 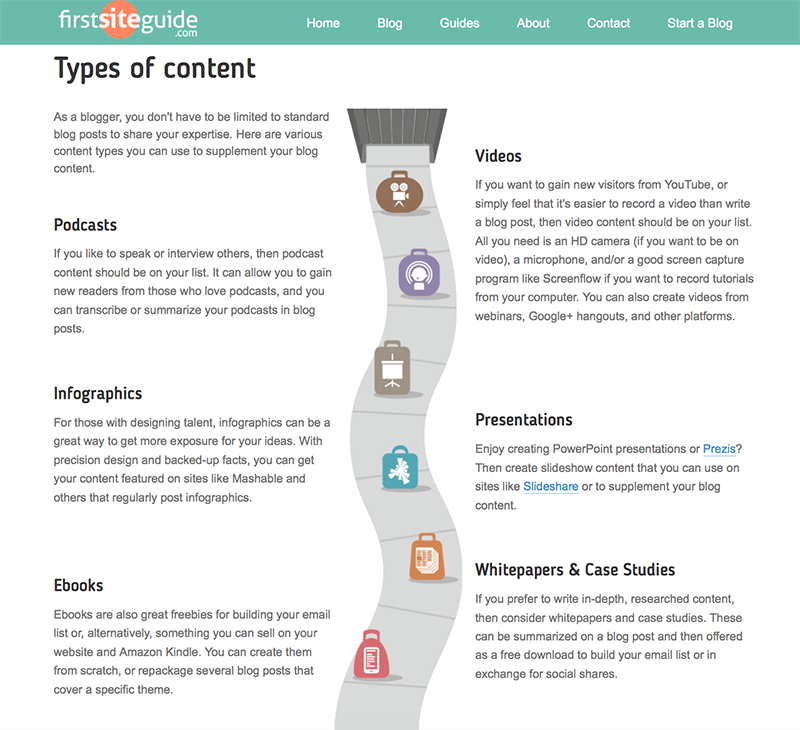 A single blog post can make several infographics, a tutorial, a video, and even a slideshow. You just have to get creative, and make sure it is as helpful as possible to a user while appealing to their chosen visual format. You will widen your audience this way, without impacting the quality of the post. Most sites have FAQ section or how-to guides explaining how to navigate the web pages and find what you need. Many sites (especially those that sell a digital product or service) offer a quick walk-throughs to show what’s inside. While that is useful on-site material, there’s no reason you cannot make it part of your visual strategy: Turn your instructions into videos, presentations or animated gifs and let your product instructions live their own lives on Youtube, Slideshare and Pinterest. The flows are easy to create (you’ll need a browser extension for that) and they work well to engage the user and give them an idea of what to do next on the site. WhatFix is an awesome re-packaging tool too because it turns the flows into Youtube videos on the fly! Instagram is a platform that has been much maligned by many in the visual content game; which is a surprise, given the very nature of the site. You would think that a photo and video specific social network would be the natural place to implement content. Some industries are finding creative uses for the platform. For example, companies will show off their new line, or new products. They will show people eating their food, or enjoying it in a casual context rather than in professional shoots. Or companies that offer customers to print their Instagram photos (what a neat idea!). Instagram is everywhere these days, especially newer Instagram features like Instagram stories, for example. 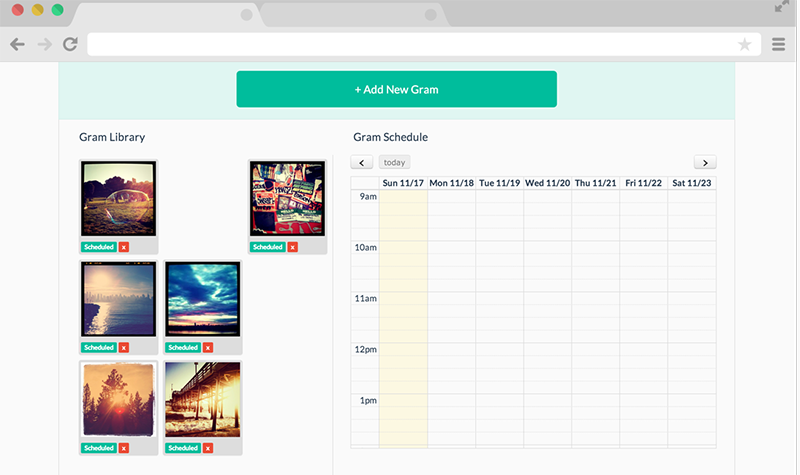 Featured tool: LaterGram will let you easier integrate Instagram marketing into your existing agenda. You can add all your employees as managers there and let them schedule content for you and you’ll be able to approve / disapprove anything they do and train them accordingly. The best images on Pinterest are the ones that have specifically been customized for the platform. You will notice when you look at images that are posted on that particular site, there is a certain formula used. Text overlays, infographics and charts have a look to them that you won’t find anywhere. There is a reason these pins are so popular. They work, and they drive traffic to the original site. 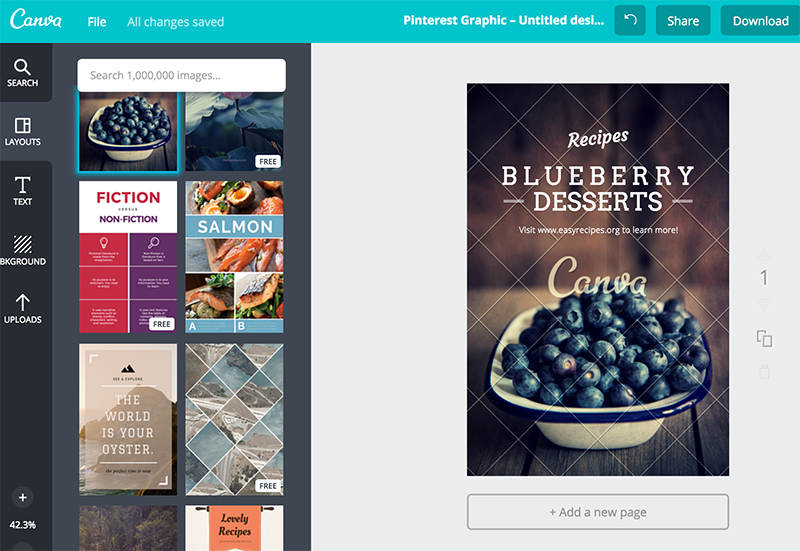 Featured tool: Canva has lots of templates designed specifically for Pinterest. Check out these startup resources for more affordable tools and tips. If you have any social media platform, you have probably seen plenty of Someecards. These are a popular form of customizable image that gets plenty of attention across the web. They are also proof of the concept that humor really pays off. If you want to up your chances of having a piece of visual content go viral, make it funny. If you want to have your content regularly shared, try and be lighthearted as often as possible. Here’s a list of Creative Commons comics to get inspired by or find sources for visual content. Branded logos are just a standard for anything you put out on the web. You want to become immediately recognizable, and so should have two logos at your disposal. First should be a complete logo including the brand name, slogan, and a website, all in a small watermark somewhere on the visual. Second should be a single icon. Both have their place, and should be used on different types of content. Videos are usually good for the simple logo, infographics or photos better for the longer version. 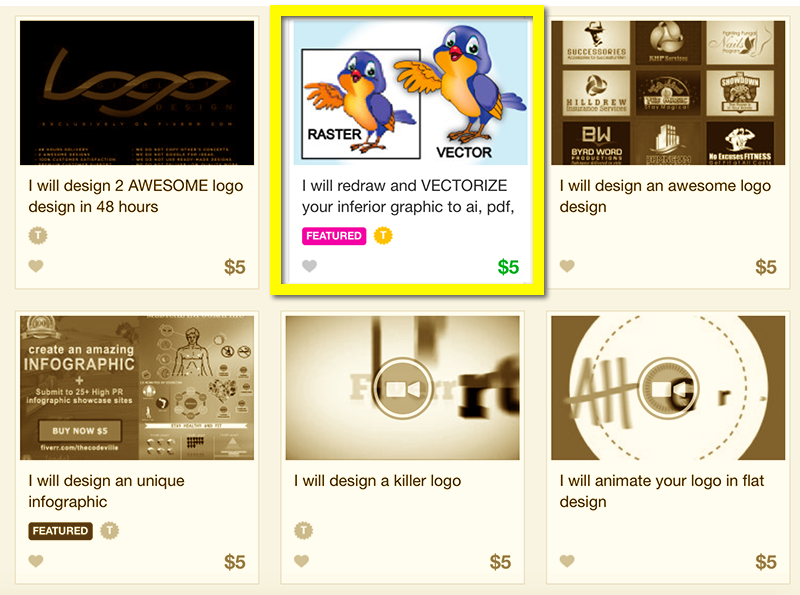 Featured tool: Surprisingly enough, I’ll list Fiverr here. I don’t usually recommend this site (because people tend to use it for ridiculous purposes like buying Facebook likes or Twitter followers). Don’t blame the tool though: Fiverr is perfect for making slight modifications to your logo. Your niche is a safe place to settle yourself and produce content for. But many accounts on sites like Facebook, Instagram and Twitter are stepping out of their comfort zone. Feel free to post things not directly related to your brand. This could be humor images, or cute photos. Maybe it is something personal, like showing the view from a hike, or something funny you see while going about your day. Just keep it from getting too personal, such as including religious or political views, and you should strike the right balance. You may find these unrelated visuals gain more attention than the carefully cultivated ones. Here are 20 sites to diversify your visual marketing strategy. A good template is worth its weight in gold. It will give all of your visuals a standard of uniformity, so they are always associated with your brand. If you are making a video, have a branded title card and ending. If it is an image, make sure all are created with the same layout and logo. Use the same colors and style of images. Another benefit to templates is that it makes creating visuals faster and easier. Featured tools: I use Canva to manage my branded templates: I have templates for visual quoting, header images, Pinterest-ready images, etc., so each time I need a new one, I just tweak the background image, text and go with it. For videos, I manage my presets in iMovie. Any tips to add? Leave them in the comments! Ann Smarty is the brand and community manager at Internet Marketing Ninjas, founder of MyBlogU.com and manager at ViralContentBee. Great post Ann and I thought I’d know most of the approaches, but I learned some new ones (as well as some new tools) here! I’m interested in checking out Whatfix for the visual guides. Thanks! I tried them and loved the concept! Very easy and it will definitely find its place in any marketing strategy! Thanks for the kind words, Dan! Yes, I agree on the humor. 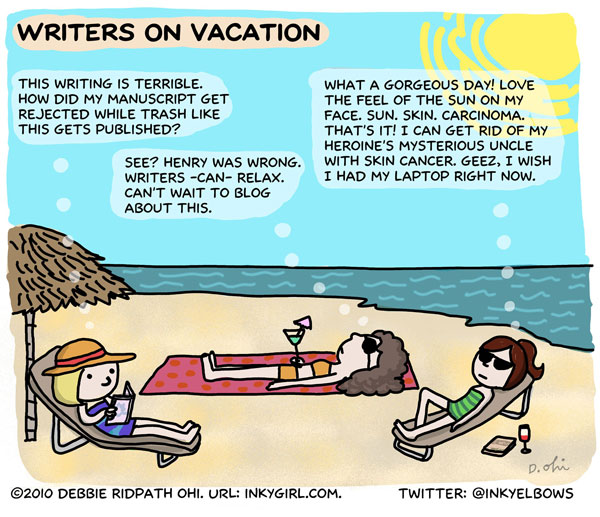 In fact, I have noticed that cartoons get very well shared on social media, so they work well on blogs, as well. Yes! It’s hard not to notice! Comics and cartoons work great for social media! Great article, Ann! I love the list and this is definitely a must-bookmark (or, in some of our cases, pinnable). I agree with you on the templates and how much time that saves. 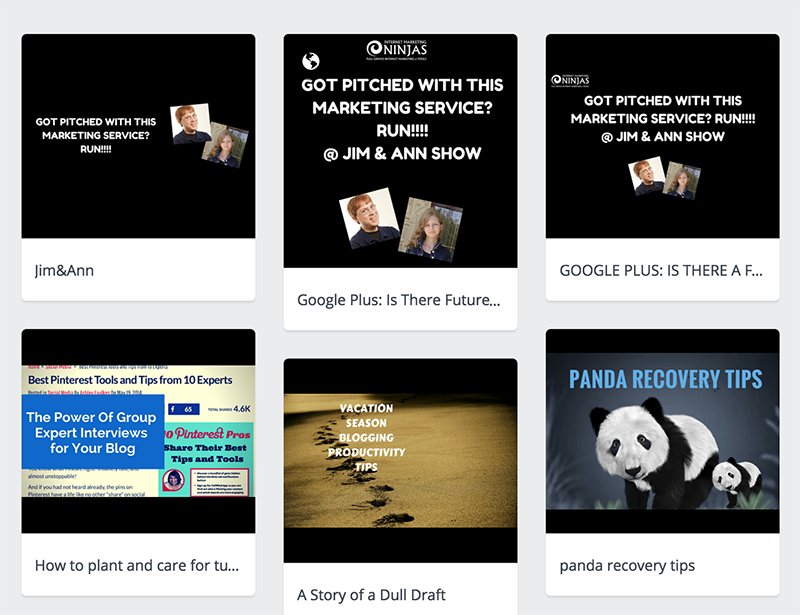 I used to have templates that I used in Adobe Photoshop (still do, for some), but Canva makes it easy to access from anywhere (even different rooms in the same house). They make creating those event graphics so easy. I agree! Canva is amazing tool! 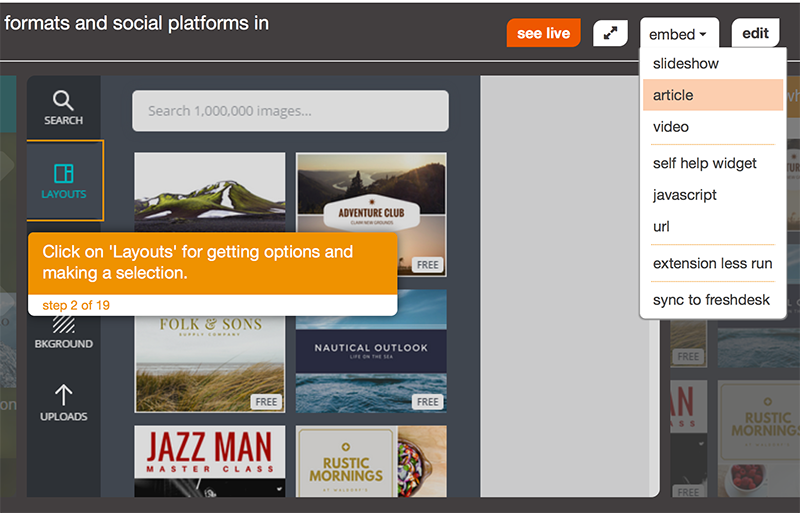 It makes visual content creation so much easier and faster! In one of my companies, we want to start using Instagram for storytelling. LaterGram is great because you actually get to approve everything that goes live but your team can curate and create content for it… It also uses official Instagram auth (unlike many other popular terms that require you to provide your actual login to Instagram), so you don’t risk your brand account! Great tips! I agree about Fiverr – it’s got a lot of great services to choose from. You just have to know which ones are worth it. I agree! Fiverr can be a great service if you use it mindfully! you can’t have a coherent visual strategy without first having a solid brand strategy. Your brand strategy provides the framework for what you are doing and the roadmap for what will come. Visual content is one of a variety of tactics for executing on that plan — everything from your website to your business cards should follow suit as well. Any other approach is pure folly — you may get likes and shares, but they will be largely meaningless so the numbers ultimately don’t add up for your business. And that’s bad marketing. Important thing is what you are trying to accomplish and how your visual strategy fits within those overarching goals, and then utilizing good branding and design principles to achieve that vision. Interesting post Ann, said right visuals with humor help allot in attracting our targeted audience. I’m gonna try the fiverr trick. Interesting post Ann, said right visuals with humor help allot in attracting our targeted audience. I’m gonna try the fiverr trick.Yes! It’s hard not to notice! Comics and cartoons work great for social media!